Want to make a real impact showing people your distaste for SOPA and PIPA? While there are great options out there (such as the banners from Hello Bar), CloudFlare customers just got a one-click solution to elegantly and effectively make their point. In talking to CloudFlare CEO Matthew Prince, he brings up a couple of very strong points for why the app is a great resource for the company’s customers. First, you’d need to have the knowledge and manpower to build your own. Then you would have to make sure that a “blackout” didn’t negatively affect your site and you’d need to have access to underlying code. 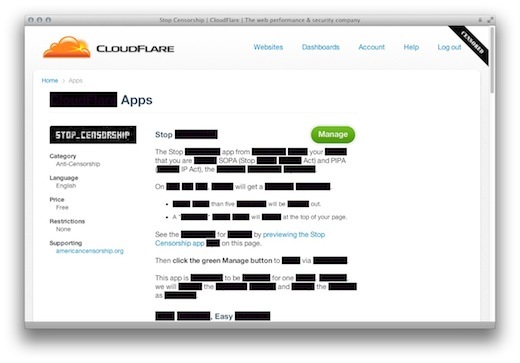 With CloudFlare’s app, none of these are a factor. The blacked out text will only happen on the first load of a site, so you’ll be able to spread the message without continually annoying your visitors. The CloudFlare team has spent considerable time making sure that it worked across a variety of sites and it’s also worked closely with Google to make sure that the manner in which it operates doesn’t violate standards or have negative impact for sites. Wordsmith VC Fred Wilson talked about the very problems that CloudFlare’s app solves over the weekend. I’ll be implementing it on my own site as well and I hope to see many of you do the same. 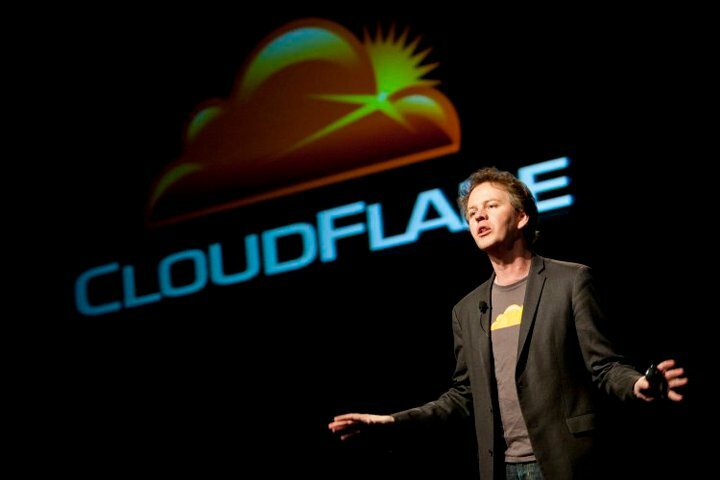 CloudFlare has a history of helping to fix a broken Internet. This time around, it’s good to see the team stepping in to help solve the problem before it happens.